Can be used as often as needed. 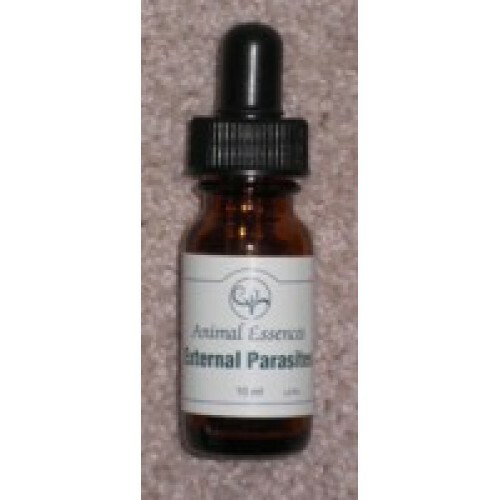 This essence brings calmness and peace to the animal. It will hold the nerves steady especially when shock sets in, and will slow down the energy pattern while the poison is moved through (e.g. tick bite). Then the temperature may rise to burn out the 'dross'. This essence may not save all, but will ease all, and help many to recover quickly. For maximum benefit place 7 drops across the back of the neck (like a collar) so the essence can quickly connect to all parts of the energy pattern. Normal Dosage - 1 drop in the Feeling Centre morning and night, OR 3 drops in the bathing water, OR 7 drops externally across the back of the neck.